Insomniac have seemingly delivered everything fans wanted out of this highly-anticipated game. Insomniac Games have certainly taken Uncle Ben’s words to heart with their newest game, Marvel’s Spider-Man for PlayStation 4. Initially announcing the game at E3 in June 2016 and releasing it well over 2 years later in September 2018, it is clear that a lot of effort went into making every aspect of this game as close to perfect as possible, and although the wait was agonising – boy was it worth it. I could say so much more about Spider-Man than I can fit into this review, so here are just a few features which make it one of the best console games I’ve ever played. As with any open-world RPG, a compelling story is crucial. Spider-Man is no exception, and the main plotline is a wild rollercoaster of twists, turns and emotion which keeps you eager to play more. 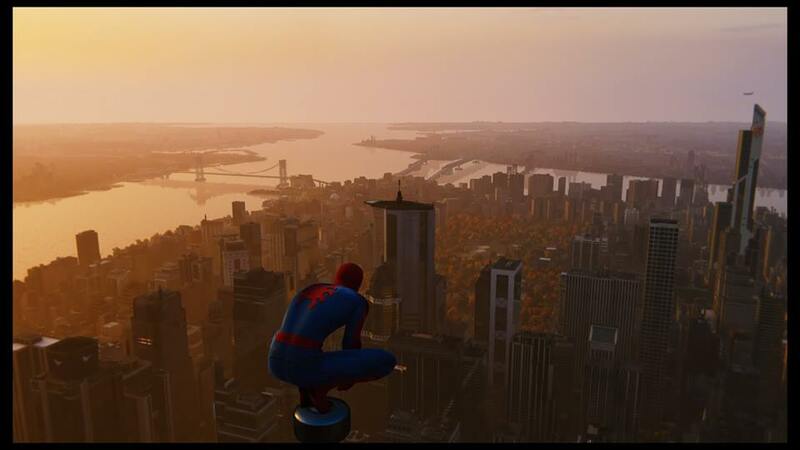 Playing as your Friendly Neighbourhood Spider-Man/Peter Parker (who is a little older and more experienced than Tom Holland’s portrayal), you begin the game by taking down The Kingpin himself, Wilson Fisk, and the gang bases he has set up across New York City. Pretty soon, a new group of enemies known as Demons show up to cause havoc of their own and attempting to overthrow Fisk’s men. What seems like a fairly simple gang war, however, turns into so much more, with several well-known Spider-Man supervillains making an appearance as the story escalates, as well as a couple of shocking twists which genuinely made me gasp. Additionally, Peter works as a research assistant for a certain Dr Otto Octavius – expect what you will from that… Different threads of the main game all come together in an unexpected but epic conclusion; combine this with intriguing side missions and tasks to complete all around the city, and there is no room for boredom in this game. Of course, no Spider-Man game would be complete without his trademark web-slinging, and there is something fundamentally freeing and fun about swinging around Manhattan. Once you are accustomed to the controls, soon you’ll be soaring and diving around the streets and buildings as though you are Spidey himself. Similarly, the combat style is pleasing, bearing a strong resemblance to that of Batman: Arkham Knight. As you progress through the game, you are able to unlock new combat moves which means you never tire of the many fights you will land in, as well as new gadgets, such as the Spider Drone and Web Bomb. There are also plenty of missions which must be performed using stealth, also in the same vein as Batman, which creates a nice contrast. You also occasionally play for short bursts as other characters, such as Mary-Jane Watson, which similarly adds some diversity to the gameplay. Yet what truly makes Spider-Man stand out as something special is the incredible detail which has gone into the game’s design. The open-world element to the game keeps interest piqued at all times; New York City is fully explorable, with new things to discover around every corner. Even elements such as the weather have been carefully thought through, in order to make the game appear cinematic in style (expect some serious pathetic fallacy as the main story progresses). The graphics are stunning, with the character design and environmental detail often making you question whether it is actually digitally rendered at all. 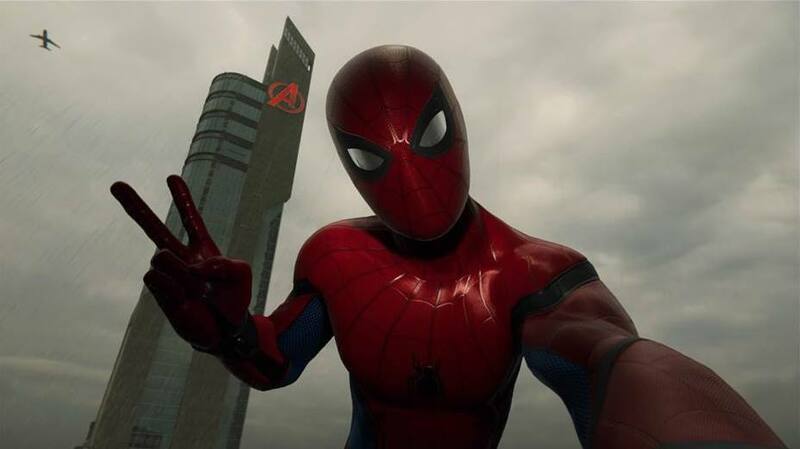 There are a few fun references to the Avengers and other MCU films, such as the presence of the Avengers Tower and Wakanda Embassy. 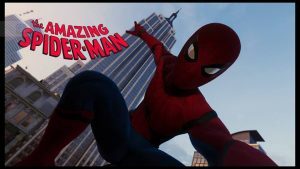 There is also impressive detail found in other aspects of the game, such as Spider-Man’s social media feed, which updates after you do pretty much anything at all in the game, as well as radio sequences from John Jonah Jameson and phone calls from various in-game characters – not to mention the random citizens who decide to high-five you in the street. The aforementioned tasks around the city include taking pictures of New York landmarks and finding backpacks with Spidey-memorabilia and related information inside, both of which are nice touches. All of this detail can be captured in the game’s Photo Mode, which is weirdly addictive. In this mode you can capture brilliant stills from combat, swinging around New York, and even selfies. I took far more photos than I’d care to admit, but a couple of my own examples can be seen below. There is always something to find or do in this game, which will keep you playing for hours on end. In fact, it provides such a broad gaming experience that there is little to nothing I can think of that this game could add (although there has already been some DLC released). The main and side missions are fun and interesting, the level of customisation is great, and there is a perfect balance between Spider-Man’s trademark light-heartedness and more sombre moments. For the reasons I have mentioned and so many more, I thoroughly recommend this game for anyone. And, as with everything Marvel, look out for that Stan Lee cameo. Marvel’s Spider-Man is available now for PS4. Best Spiderman game ever! Can’t wait for the Black Cat DLC. Getting that PS4 Spiderman bundle this black friday.